These Valentine’s Day Counting Cards and Puzzles are perfect learning fun for the upcoming day of love! Hello February! Well, almost February, I heart you. It means we’re one month closer to spring. I’m done with this snow. Have I mentioned that I’m SO over the snow? Seriously. It can end any time now and the sun can start shining. I’m so ready for birds to be singing. 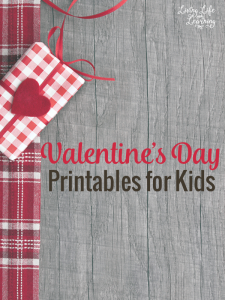 It’s no secret that we love to incorporate different holidays and seasons into our learning lesson plans and Valentine’s Day is a fun one to do that with! Who doesn’t love the day or love? It’s full of red and pink and leaves a huge opportunity to introduce some fun printables into the learning activities of your little ones. Sprinkling the counting cards and puzzles with hearts is a super fun way to bring in the holiday with learning. And in our home, the more bonding time and fun that we can have together, the better! Don’t delay any longer! 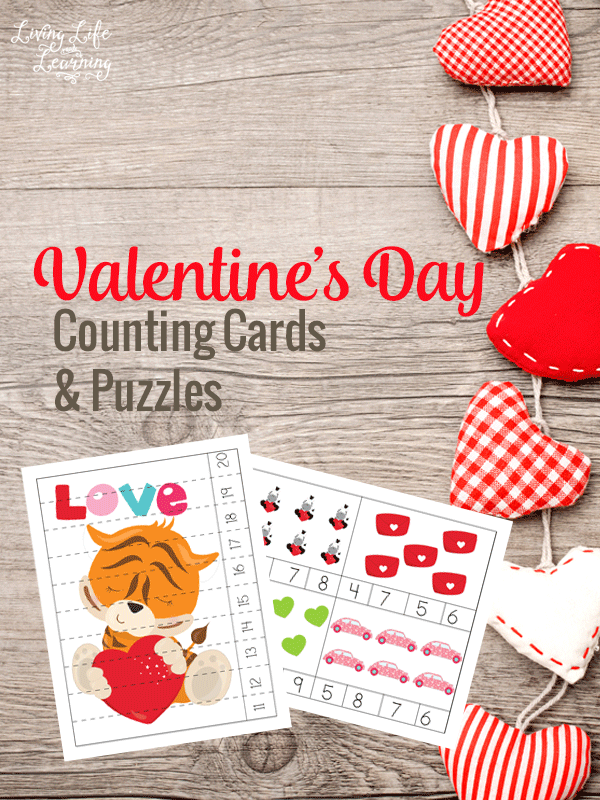 It’s time to grab these Valentine’s day counting cards and puzzles to bring some love into your learning. Get out your cardstock so you can cut them up as cards or leave them as is and place a counter over your answers. My daughter loves to use pom poms. Who says you can only use these on one day? Go ahead and nab them if you’re studying love in your preschool. It’s a great way idea to change themes in your regular schedule to keep things exciting. Use pom poms, dot markers or clothespins for the counting cards. If you laminate them, you’ll be able to use them again and again. The puzzles would also last longer if they’re laminated. My kids hate it when the ends of the puzzles curl up so it’s also easier for them to use. Make it even more festive and use chocolates as your counters and have them place it over the correct answer. My kids would like to use raisins or Reese’s peanut butter pieces. Read your favorite Valentine’s day books to add more love to your day. Create your own Valentine’s day cards and add your own Valentine’s day treats to make them extra special. My daughter loves pink and hearts so we could do Valentine’s all year long. Turn it into a love day. We don’t need just one day to show everyone we care. You can see the rest of my Valentine’s day printables below.